No... these aren't mine; I wish. 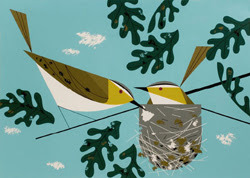 I just got the sad news that one of my favorite illustrators, Charley Harper, passed away today at age 84. Harper's subjects were always from nature. Not only was he a great artist, but he seemed to have a clear, straightforward appreciation and understanding of the natural world. 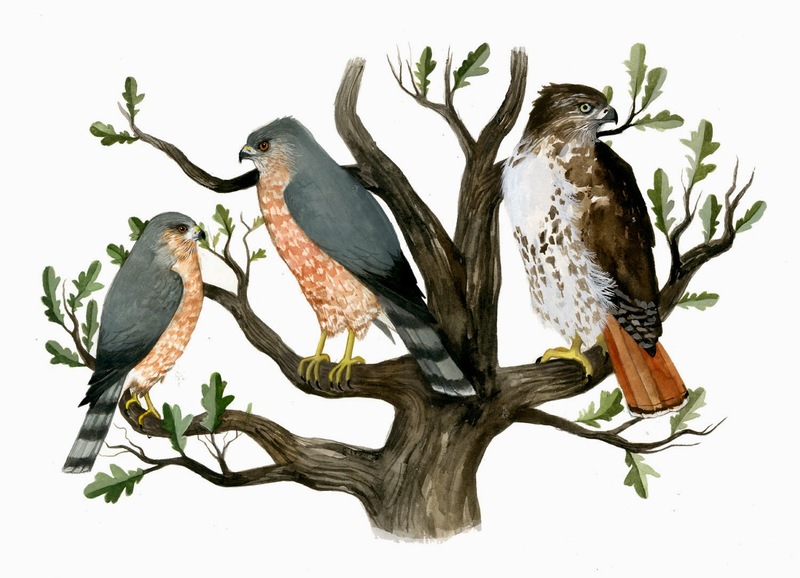 If Aldo Leopold would have been a visual artist, I think Harper could have come close to that incarnation. His work is full of clever visual puns that play upon whatever specific subject he was depicting. Aesthetically, his images were very modern. 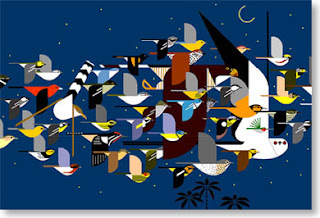 He created by using clean lines, and simple, flat shapes of color. His work was by no means flat or sterile, but full of life, movement, and wit. Towards the end of his life, he seemed to be enjoying a renaissance in design world stardom. I *discovered* him by stumbling upon a series of skateboard decks he designed a couple of years ago. How cool is that: designing decks in your 80s? Anyway, do yourself a favor and seek out his work. 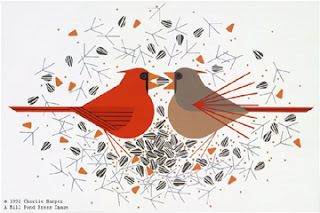 There is one book that is currently available "Beguiled by the Wild", and another "Charley Harper: An Illustrated Life" that will be available within the coming year. RIP Charley. oh how sad! his work is amazing. as is your as well. I love your style. Read more about Charley's passing on my Cincinnati Enquirer Art Blog, which has regular Harper updates, too. Including one added today about AMMO Books reprinting "Birds and Words."